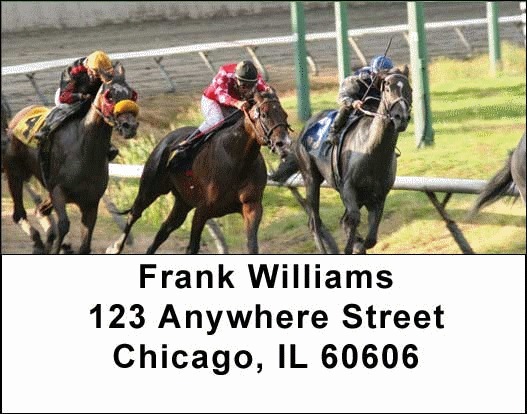 "Horse Racing Address Labels" product is already in your cart. Horse race enthusiasts will love this labels series featuring shots of colorful jockeys racing their thoroughbreds on the tracks. Each time you use them, the adrenaline will spike and you'll remember the thrill of the thundering hooves as the horses speed their way around the racetrack. Horse Racing Address labels are self adhesive. Matching checks are also available.